XRP is on the way to a massive breakout? The crypto community has all eyes on Ripple: it is not only surviving the longest crypto winter yet, but it is also slowly making its way to the top. Some say it threatens to sideline Bitcoin. Ripple price predictions for 2019 vary to a great extent: while one bunch of experts doesn’t believe it will reach $1, others make fantastic forecasts. Let’s compare opinions. Currently trading at $0.317 Ripple’s XRP stays the third cryptocurrency by market cap behind Bitcoin and Ethereum. 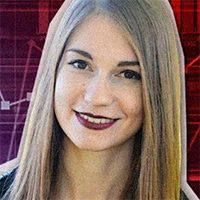 XRP has been in a downtrend for the past few weeks but the weekly chart shows signs that said the trend is exhausted. The last lower low was created late last year, since then the pair has been lingering above $0.25 key support. In the near term, the price is capped by a bearish trend line. Lately, the pair has shown low volatility which opens the door for strong moves to either side. Keep in mind that strong moves which follow a period of low volatility are often reversed, without generating a trend, so be careful until a firm break to either side is made. The main elements to watch on a Weekly chart are the bearish trend line, followed by the resistances at $0.45 and $0.80. On a Daily chart, we can see a lot more resistance levels overhead, but the most important for short-to-medium price action is $0.32, the bearish trend line, 100 days Exponential Moving Average and the level at $0.35. A break of this cluster of resistance will increase the chances of a long term move which will have $0.40 - $0.46 area as a target. That could be reached within a couple of months or even sooner if we get a major announcement or partnership with a new bank. There’s a huge amount of crypto predictions on TradingView. One of the most popular predictions has been recently posted by CryptoManiac101. He suggested XRP is about to break out massively. There’s a strong trend line that will be lasting for 666 days by March 20-21. It has been supported XRP starting from 2017. The potential target price sets at around $172, but it can only be visualized through the unconfirmed resistance line of this widening wedge. This number is approximate – in reality, it can differ from the target more or less. In 2016-2017, XRP managed to make its way from $0.005 to over $3.42 marking nearly 65,000% in profit within 292 days. This time, XRP price will rise not only due to speculation only, but thanks to real use cases, as well. In 2019, Ripple plans to introduce XRP to banks together with the products from RippleNet series (Xrapid, Xcurrent 4.0). Official regulations are being prepared for that. With increased volume being moved through XRP Ledger, demand for XRP from financial institutions will be increasing. According to botje11, XRP is to break its vicious circle soon. During the past months, every minor and major XRP breakout attempts were smashed. The recent bullish wedges were nipped in the bud. However, instead of breaking down, it remains above the $0.29/0.30, suggesting accumulation is going on. Look at the price chart: in the middle we can see a curved support line – it should be watched attentively. Because if that blue line breaks (with some margin) we could see it drop to the lows again. If we do break that big resistance around $0.33, we should see a big jump up, together with some decent volume. If it will be a small breakout, it will be very likely again to see it getting sold again. There’s another big resistance around $0.4, and if that one breaks, it might become the new low in a short term. The triangle is likely to be followed. Roman Guelfi, an authoritative crypto enthusiast and expert, is sure that Ripple is to achieve great milestones. He said that when the market experiences an influx of projects, other cryptocurrencies will be left aside, and the XRP market will dominate. However, he doesn’t say any certain numbers. According to the Ripple coin news website, 2019 will be a smooth period for Ripple. It will definitely be marked by new partnerships and technologies, which can make the price rise to $8-10. Us Lifted, a crypto prediction website, states that Ripple will achieve new heights and reach $22.79 with a circulating supply of 38 bln XRP. Let’s be sincere: the circulating amount of Ripple is too huge for the coin to be worth $100 or even $20 this year. Ripple has only started making waves, and it’s on its way to dominance in the banking sphere. 2019 promises to be full of new partnerships, which definitely means there’ll be more money flowing into Ripple. Developers continue improving the Ripple network: the speed rises while low fees stay the same. The most realistic prediction would be $1.20 or $2 by the end of 2019. Considering that Ripple fluctuates in the range between $0.30 – 0.40, that would mean a x4 or x6 return on investment, which is great. Update: Though slowly, Ripple is gradually moving to another resistance level. As soon as it hits the $0.33+ level, we should expect it to soar way higher. $0.45 will be the next resistance level then. When to buy? You can invest in XRP right now, but if you’re still unsure, wait for XRP to reach $0.32 – that will be a good sign and a great entry point at which traders will make a massive buy and trigger further XRP growth. When to expect any considerable XRP moves? The upcoming Singapore Blockchain Summit might kick it off with the hype around XRP and Ripple partnerships. If Ripple fails to break resistance and gets back to $0.315 and lower, we’ll have to wait longer. Disclaimer: The opinion expressed here is not investment advice – it is provided for informational purposes only. It does not necessarily reflect the opinion of U.today. Each investment and all trading involves risk, so you should always perform your own research prior to making decisions. We do not recommend investing money you cannot afford to lose.